With today’s technological advances and globalization most PMs (Project Managers) manage multiple projects in an organization. In many cases the teams are cross-functional teams and working in different time zones. Project Management is a discipline that consists of methodologies and tools to assist in successful completion of projects that contribute to the growth of an organization. However, the path to success isn’t necessarily an easy one, but it is worth the effort. Here are the top three biggest frustrations PMs face in today’s evolving world of Project Management. Lack of communication can cause a project’s progress to death spiral. Let’s take an example where a project falls behind schedule because the supplier of necessary parts to complete the job has suffered a production delay, so the parts will not be delivered on schedule. In a perfect world, you would expect that the PM would be immediately made aware of this. He would then convey this to senior management or the PMO (Project Management Office) so expectations are adjusted and measures can be taken to mitigate the risk. Unfortunately this is not the typical scenario. The more likely outcome is that the PM is managing several projects and only looking 1 to 2 weeks out, is not aware of this production delay, and ultimately the PMO holds the PM accountable when this particular project is not delivered on time. Unfortunately, the PM nor the PMO know the project is going over time, budget, or scope until it is too late. This can be dramatically improved with weekly team meetings, assigning responsibilities and establishing accountability. Balancing the holy trilogy (Scope, Time and Cost) without support of upper management is near impossible for a PM. A PM is constantly juggling the demands of the customer, his project team, and then of course management. All too often a customer will make changes to contractual requirements or deadlines without regard to the project phase and still have the expectation that the final delivery date has not moved. In scenarios like these, the PM has to manage the demands of the three groups, continuously go back and forth, while still attempting to make the best decision for the project. Having the support of management is critical to the smooth operation of the project and understanding that the customer element adds a certain amount of risk to scope, time and cost. One way to garner support from upper management is by being able to provide them supportive data such as project schedules and reports corroborating the impact of these changes on the project timeline and budget. Expectations to adjust processes or change tools without proper training can be detrimental to the productivity and success of the PM. Investing in training is absolutely vital for any PM to excel. Many organizations are still climbing up the Project Management maturity model, which means that the organization is constantly evolving. With evolution comes changes in technology needs or tweaks and additions to the process as a whole. These efforts are completely wasted when the users of the system and followers of the process are not properly trained. Remember, that a PM most likely has their own habits and comfortable way of doing things, so there is some change management that must be taken into account. Many times the largest frustration for a PM is having a new process or tool thrown at them with the expectation they can learn it on their own. What impact does that have, not only on productivity but on morale? Therefore, organizations should not look at training as 2 days away from work, but rather an investment not only in their people, but in their business. Obviously there are any number of other frustrations that PMs face in a complex project management environment. However, these three key areas of poor communication, balancing scope, time and cost amidst contractual changes, and lack of training in using the necessary tools are what I see as the predominant forces impacting PMs today. Also noteworthy is that the answer does not lie solely on the shoulders of the PM. As much as the PMs can improve in all these aspects from their end, management also needs to make substantial contributions to meet them in the middle and provide the necessary support to drive successful project management. 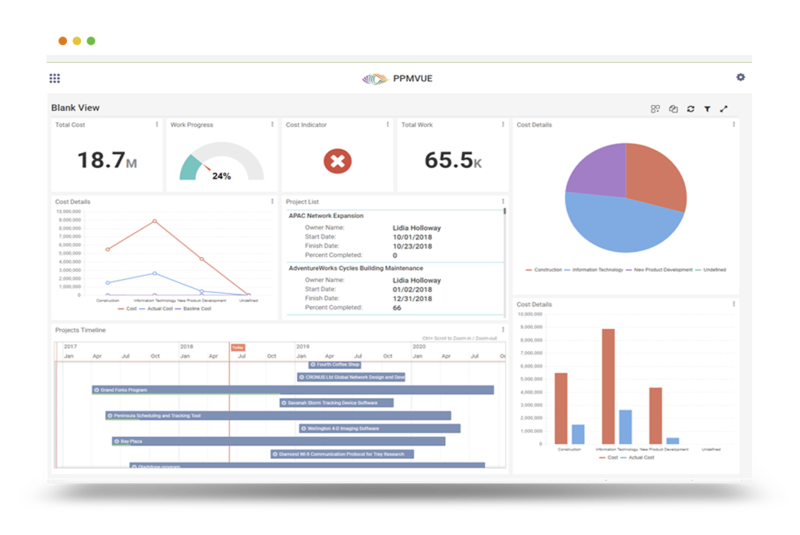 EPMA helps organizations refine their project management approach by simplifying how they manage work. Our goal is to bring complete visibility and accountability across the entire organization through innovative technology solutions strategically aligned with the business. A growing division of EPMA is our Project Management Analyst (PMA) staffing service. If you have PMs experiencing the above challenges, leveraging a PMA can open communication, master the manipulation of the tool, and remove the administrative burden from the PM, allowing them to focus on what they do best.